The use of canned beans speeds up the process of making this deliciously hearty vegetarian bean soup that feeds a crowd. 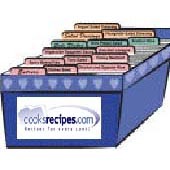 In a large stockpot, combine water, tomatoes, soup mix, baby lima beans, white beans, black-eyed peas, garbanzo beans, pink lima beans, white kidney beans, salt, bay leaves and Italian seasoning. Bring to a boil, reduce heat and simmer for 3 minutes. In a large skillet melt butter over medium heat. Add onion, celery, carrot, bell pepper, parsley and garlic; sauté until tender, 5 to 10 minutes. When vegetables are soft, add to soup. Cover and simmer for 1 hour.